People aren’t keen on forking over dough to people or businesses they don’t know and trust. Fortunately, email marketing makes it child’s play to build genuine connections and relationships with your readers and/or customers. Which in turn, helps you make more sustainable money in the long-run. And those relationships will only flourish. Until you have an email list jam-packed with raving fans. Loyal fans ready to devour every piece of content you throw at them. One study showed that almost 75% of people rely on email as their primary method to generate leads. 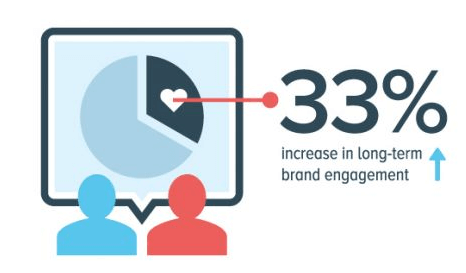 Email marketing has been found to be even more powerful than social media at retaining customers. In fact, it’s almost 40 times as effective as Twitter and Facebook combined. But what happens when sending out traditional newsletters is no longer effective? What happens when people sign up for your list, grab your show-stopping freebie, and hit the road? You need a new strategy, that’s what. Creating a welcome email or welcome series is a top-notch strategy to take your email list to the next level, capture more leads, and bump up your revenue. The benefits are endless when it comes to welcome emails and in particular a welcome series. Despite whispers that “email is dead”, I can assure you – it’s very much alive and thriving. Are you ready to learn how to craft a magnetic welcome series for your blog or business? What’s a welcome series and why do you need it? What should your welcome series include? A welcome series is a number of emails you send out after a new subscriber joins your email list. It’s a strategy you automate so every new subscriber receives it. Typically they range from 3-7 days in total. However, this will vary depending on many factors. Such as your niche, what your products or service is, or how much you want to say. It’s your first impression: your one and only chance to draw that person in and show them why they need to be on your email list. Many businesses have a welcome email. But it’s proven to be more compelling if you invest the time in an entire welcome series. Execute it well, and you’ll have people flocking to your email list at warp speed. Where they’ll remain: engaged and active. 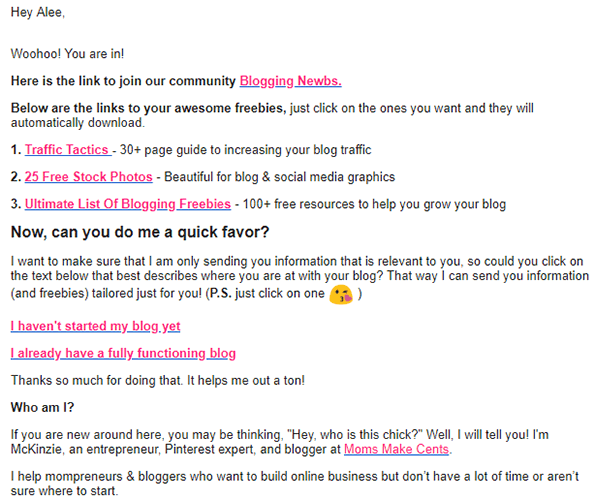 Depending on your business or blog – your welcome series may vary drastically. However, there are some universal components to any flawless welcome series. Using your favorite email marketing provider, automate the email to go out immediately after they subscribe. The main purpose of the initial email is to introduce yourself and your business. But it’s also your opportunity to dazzle them with your personality so they’re hooked. They’ll likely skip the rest of your series if your first email is sub-par, so take your time with this one. Don’t overdo it, but let them know a bit about yourself, what you do, and what you can offer them. Include social proof, where you’ve been featured, etc. Somewhere in the first email in the series – drop a teaser of what’s to come. In the next email you’ll be providing something of value – so be sure to entice them and get them excited about next email! You can send this email tche day after the first one – or 1-2 days after if you prefer. For this email, you want to deliver on the promise you made in the last email and gather information about your new subscriber. It’s time to take out your best stuff. Using this email to get to know your subscribers is paramount. Start to build that meaningful connection that will come in handy later on in your series. Ask them a question, and find out what makes them tick. The more you can learn about your subscribers – the better. You may not get a huge number of replies. But you’ll be surprised how many people are willing to give you a little personal information. The third email can go a number of ways. You do have a bit of wiggle room to get creative as long as it’s cohesive with the rest of your welcome series. The only component that I’d say is crucial at this stage, is giving your subscribers some insight about yourself. Nobody enjoys a faceless brand. But if it is a massive business – you can still make it work. You’d just highlight the brand to humanize it as best you can. By sharing a little piece of yourself with your readers, you become more relatable. If you’re more relatable, you’re more trustworthy. And as much as we genuinely want to help others in our businesses – running a business is about earning an income. And building those real connections will help earn more revenue in the long-term. If you haven’t already invited your new subscriber to join you on social media – now’s also the perfect time. Now that you’ve gone through the meat and potatoes of your series, it’s time to give them an unexpected goodie. By this point, you’ve already blown them away with a relevant and beneficial gift. So they won’t be expecting another. It’ll help to remind them what you have to offer and why your email list stands out from the noise in their jam-packed inbox. Giving away free content can be a strategic move on your part, contrary to popular belief. 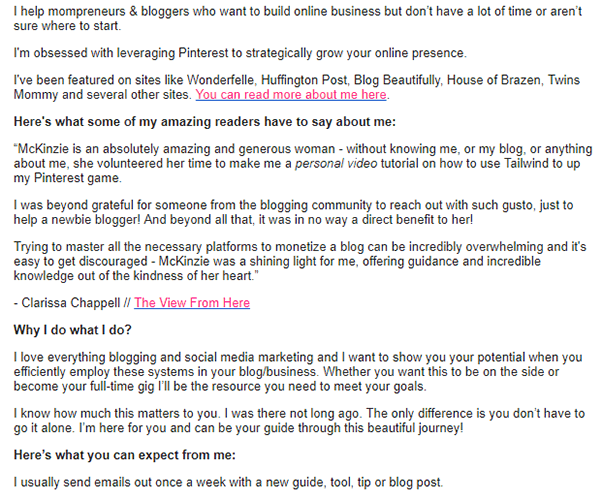 This shows them you go above and beyond for your readers/customers, and they’ll respect you for it. All of which will lead to gaining their trust and creating a raving and loyal fan out of them. Now that you’ve begun to build their trust, the goal of email five is to prod them in the direction of your paid offerings. This could be your snazzy new e-book, your newly launched e-course, a service you offer – or any paid offering you have. However, be subtle. And be sure to include some type of tip or hack that they’ll find beneficial. The moment you’ve been building up to is finally here. While it can be downright terrifying to sell to people, it’s a necessary evil. But that doesn’t mean you have to be spammy or come off salesy. At the same time, you want to spur them into action immediately. Because chances are, if they close your email, they’re going to forget about it. She tells her subscribers when this paid offering will be disappearing, which sparks urgency and makes them sweat a little bit! You can use a countdown timer at the end of this email as well. That really helps subscribers visualize how little time they have left. You can give yourself a pat on the back: the challenging portion of the welcome series is finished. Take the opportunity to figure out where each subscriber should be on your email list now. I’m talking segmentation: a highly effective way to do email marketing. When you segment your email list, you can show content that’s relevant to that individual subscriber. Instead of sending them every email you send out. You can do the same thing to segment your list, or you can simply ask for feedback to better serve your new subscriber going forward. Just like the rest of your welcome email series – your timeline and frequency will differ. All depending on your individual business or brand. Most welcome series emails last between 3-7 days. You can spread it out however you like – but it’s most common to send them consecutively. But, some marketers prefer sending them every other day. The content in your welcome series is more important than how many emails you send. You can decide this after you come up with a solid strategy for your series, and have filled in the content. What is vital, is getting your email series started right away. The first 48-hours after subscribing is when your subscribers will be the most active and engaged. This is why that first email in your sequence is most critical. Like any email you send to your email list – you want to avoid landing smack dab in the spam filter. An excellent approach is to be straight with your new subscriber and simply ask them to not put you there. This is common practice when using a welcome series or welcome emails. As strange as it may feel at first – people are used to it! I guarantee most of your competitors are asking, and getting more results because of this small tip. And if you save it for towards the end of your welcome series, they’ll probably already be raving fans! There’s nothing worse than receiving a generic email that’s clearly intended for 50,000 people. Although your subscribers are intelligent and know they’re not the only one you’re talking too – it’s still important to attempt to make them feel like they’re the only ones. This includes talking to them in a conversational tone, even more so than in a blog post. Talk to them as they were your friend. If you write your welcome series like you’re writing to one person, instead of your whole list – you’ll have better luck. Every email marketing provider gives you the option to add your recipient’s name anywhere in an email, but you can also experiment by using their names in the subject lines. You can also try using buyer personas to take your email marketing to the next level. After all, the more you know about your subscribers and customers – the better you can serve them. And when you know them inside and out, they’re far more likely to purchase your paid offerings. There’s no doubt that crafting a welcome series is your best bet when it comes to email marketing. But, like any marketing strategy – it’ll eventually need alterations as your business grows. Over time your freebies and paid products will change – among other things. The emails will need to be adjusted, or even re-written to reflect changes that occurred over time. 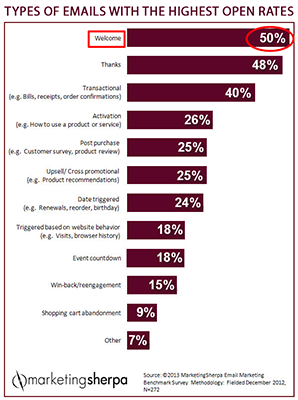 A large part of email marketing is keeping up with current trends. But in large part, finding strategies that work for your business is number one. Sending out newsletters every week can work well, but you need to take things a step further. If you’re not segmenting your list and utilizing welcome emails – you’re missing out on sales galore. The few days it’ll take you to craft an awe-inspiring welcome series will pay off, big-time. Just keep in mind that no two email marketing campaigns will be the same. 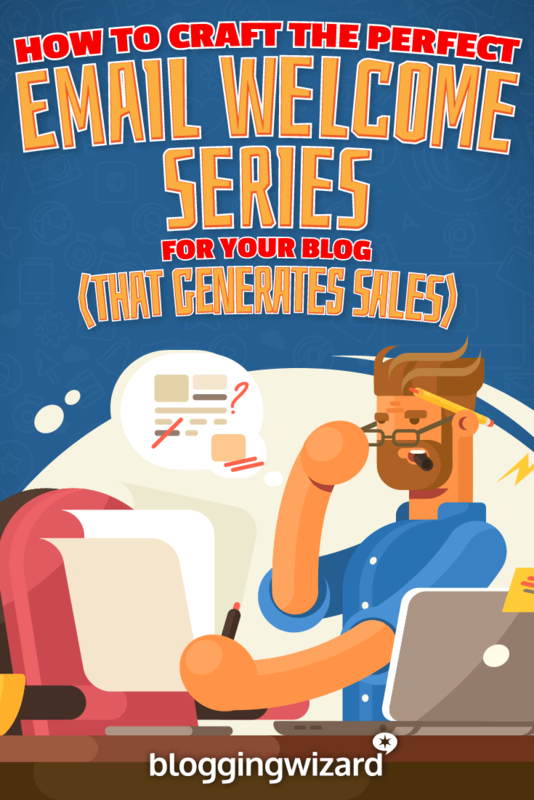 While most of the components used in the examples today will work for most businesses and bloggers – you’ll likely need to fill-in-the-blanks with your own information. To learn more about email marketing, check out Elna’s Ultimate email marketing post.